Harsh Sandeep is a 6-year-old with a blood disorder that requires him to get a blood transfusions once in 25 days. The numerous blood transfusions will lead to iron accumulation in his organs causing permanent damage. 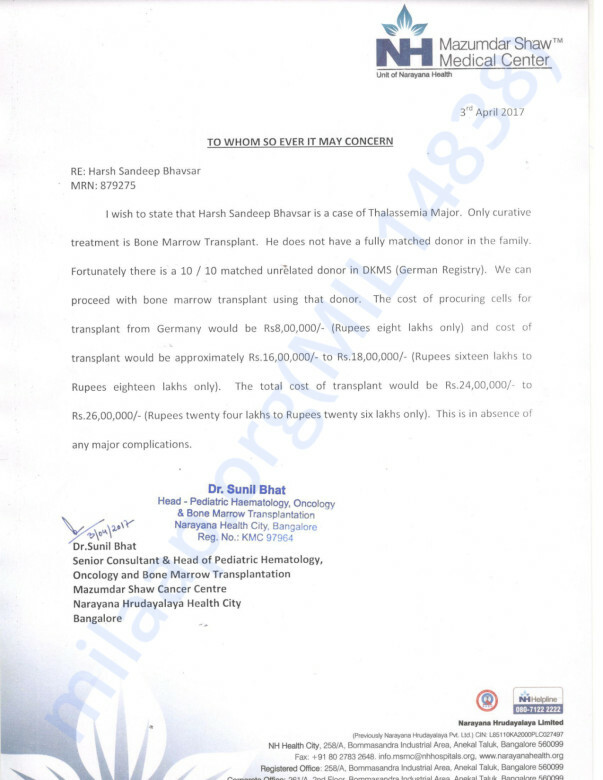 The only cure for his condition is a bone-marrow transplant (BMT) which the family cannot afford. “When Harsh was a 6-month-old baby, one day he just turned on one side and didn't do anything. He wouldn't make any noise, he wouldn't feed, he wouldn't get up and crawl,” recalls his mother Swati. 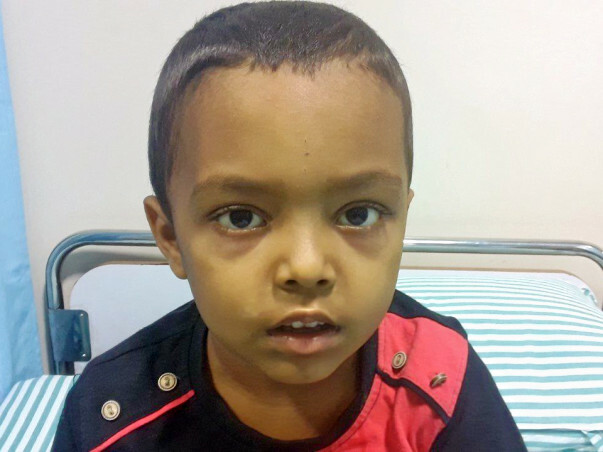 After a few days, his worried parents decided to take him to the doctor who diagnosed him with Thalessemia Major. Thank you for the wonderful support that you have shown towards Harsh. He had successfully undergone the bone marrow transplant procedure. On evening of 29th Sept Harsh blood pressure went high and he was unconscious for 4 hours. He admitted to ICU, MRI and other tests are carried out. MRI looks fine. He is conscious now but he is having high fever & blood pressure. We are positively hoping that he recovers from these complications. Please do help and pray for this child. Thanks for your wonderful support. Harsh is undergoing going through 3rd chemo cycle on 23 & 25th July. After 15 days he will be admitted for transplant. Alpha/beta deplation kit costing 12.5 lakhs from Germany arrived in hospital. Please do support still we are behind by 6.8lacs.